Fans of the "Market Journal" television program will have a new way to tune in to the weekly broadcasts in 2016. 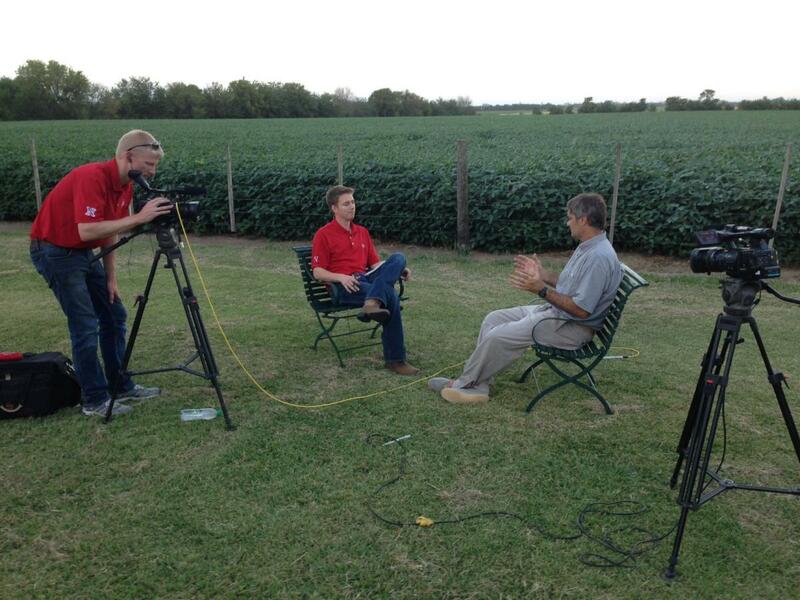 RFD-TV will air "Market Journal" episodes to a national audience beginning in January. "Market Journal" is an educational outreach effort produced by the Institute of Agriculture and Natural Resources at the University of Nebraska-Lincoln. The program tackles timely issues impacting agriculture, presenting practical information to all corn, soybean, wheat and livestock producers. UNL researchers, Nebraska Extension specialists, farmers and other industry professionals share analysis and provide commentary during weekly episodes. Since the program began in 1999, more than 600 episodes have been produced. Funding is provided through a partnership between the Nebraska Corn Board and the Institute of Agriculture and Natural Resources. "Market Journal" is hosted by Jeff Wilkerson and produced by Kurtis Harms. "RFD-TV is a trusted source among the rural American audience, and we are looking forward to serving farmers and ranchers by providing them with up-to-date agricultural information," Harms said. Wilkerson said although the program is based on Nebraska agricultural production systems, much of the information in each episode transcends state borders. "Much of what we do in modern agriculture is relevant beyond a specific location," Wilkerson said. In addition to its three weekly broadcasts on Nebraska's NET Television network, "Market Journal" will air on RFD-TV Thursdays at 4 p.m. CST beginning Jan. 7. "Market Journal" is also available on demand. Full episodes and program segments can be viewed through a free mobile app available on iTunes and Google Play. Segments can also be viewed online at http://mj.unl.edu. traditional country music and entertainment. For more information about "Market Journal," visit http://mj.unl.edu or email marketjournal@unl.edu.